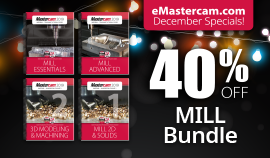 This special has expired, visit www.eMastercam.com regularly to participate in the forum and learn of new sales. GET ALL 4 FOR ONLY $219! GET ALL 3 FOR ONLY $129! 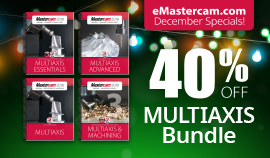 GET ALL 4 FOR ONLY $205! 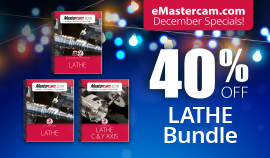 Mastercam Home Learning Edition/Demo Software is included with all bundles. Happy Holidays from the In-House Solutions Team! *Sale prices will remain live until December 31st, 2018. Note: orders placed after December 20th will be processed once our offices re-open after the holidays, January 2nd, 2019.